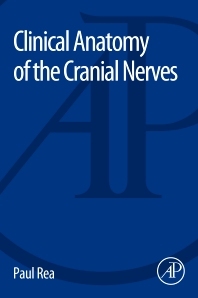 Clinical Anatomy of the Cranial Nerves combines anatomical knowledge, pathology, clinical examination, and explanation of clinical findings, drawing together material typically scattered throughout anatomical textbooks. All of the pertinent anatomical topics are conveniently organized to instruct on anatomy, but also on how to examine the functioning of this anatomy in the patient. Providing a clear and succinct presentation of the underlying anatomy, with directly related applications of the anatomy to clinical examination, the book also provides unique images of anatomical structures of plastinated cadaveric dissections. These images are the only ones that exist in this form, and have been professionally produced in the Laboratory of Human Anatomy, University of Glasgow under the auspices of the author. These specimens offer a novel way of visualizing the cranial nerves and related important anatomical structures. The cohort for this book would be for those involved in the neurological fields. This would include neurologists, clinical neuroscientists, neurophysiologists, neuroradiologists, psychiatrists, and those requiring an in-depth knowledge of the cranial nerves including neurosurgeons. This book might also be of interest to medical, dental and anatomy students. Paul Rea graduated in Medicine from the University of Glasgow and then went into clinical training in a wide range of hospital specialties. He was then appointed as an Associate Lecturer in Anatomy at the University of Glasgow teaching medical, dental and science students. During his time as an Associate Lecturer in Anatomy, he was awarded a scholarship to undertake a part time MSc in craniofacial anatomy alongside his teaching duties. His research won the Scottish Royal Medico-Chirurgical Society of Glasgow prize. He returned to clinical practice in pathology receiving training in all areas of histopathology, including post-mortem analysis. He then returned to the University of Glasgow and was appointed as a University Teacher and subsequently Senior University Teacher. He is also one of the Licensed Teachers of Anatomy, appointed by St. Andrew’s House, Edinburgh. He teaches across the medical, dental and science programmes. He sits on many university committees and is a member of the Dental School Liaison Group. Paul has published in numerous journals and presented his work at many international conferences. He is also involved with public engagement with the Glasgow Science Centre as a Meet the Expert, and was key to the anatomical input to the international exhibition BodyWorks, and was a member of its Advisory Committee. He is also a STEM ambassador. 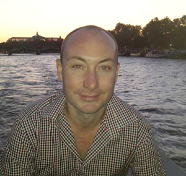 His research involves a successful strategic partnership with the Digital Design Studio, Glasgow School of Art. This has led to multi-million pound investment in creating world leading 3D digital datasets to be used in undergraduate and postgraduate teaching to enhance learning and assessment. This successful collaboration has resulted in the creation of the world’s first taught MSc in Medical Visualisation and Human Anatomy combining anatomy and digital technologies with internationally recognised leading digital experts. Paul is the joint Programme Coordinator for this programme.